Para v1.18 supports plugins for the three main components in our framework - DAO, Search and Cache. These three interfaces are the foundation and their implementations define how objects are stored in a database, indexed by a search engine or cached in memory. 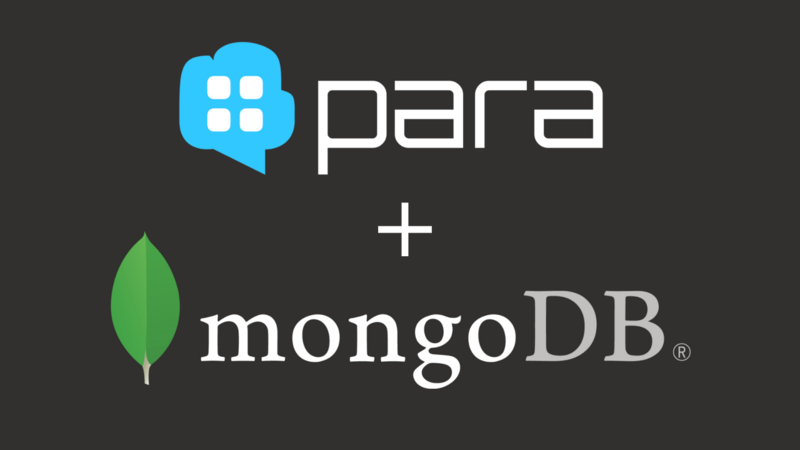 Now you can create your own plugins that implement the DAO, for example, like we did for MongoDB. To create a plugin, you simply create a new Java project and import para-core using Maven. Then you implement one of the three interfaces above. Finally, put the compiled plugin inside a lib folder relative to the para-x.y.z.war. For more information about plugins, refer to the documentation. In addition to this, we added special flags to every ParaObject that control persistence, indexing and caching operations. These flags are in the form of boolean properties and give you a fine-grained control over every object. You can now create transient objects that only live in memory (stored: false, indexed: false, cached: true), or objects that will never be cached (stored: true, indexed: true, cached: false). The plan for the next few weeks is to add more integrations and a basic web UI, as requested by some of our fellow developers. We’ll be focusing on making Para work with ng-admin and Restangular, as well as, iOS. And even though we regret the recent news of Parse shutting down, we hope that more web and mobile developers will find Para useful and a good alternative to the Parse service. We’ll be sponsoring jPrime - a local conference with talks on Java, the JVM, mobile, web and best practices, which will be held on May 26-27th, 2016 in Sofia, Bulgaria. It’s run by the Bulgarian Java User Group and backed by the biggest software companies in the city. If you’re in the area and into Java, you should definitely come to jPrime. Send us an email and we’ll arrange for you some Para stickers on the day of the conference. You can now chat with us on Gitter!